At least two cars were involved in a crash in Roselle early Saturday morning. ROSELLE, New Jersey (WABC) -- Two drivers were killed when their cars crashed into a vacant building. 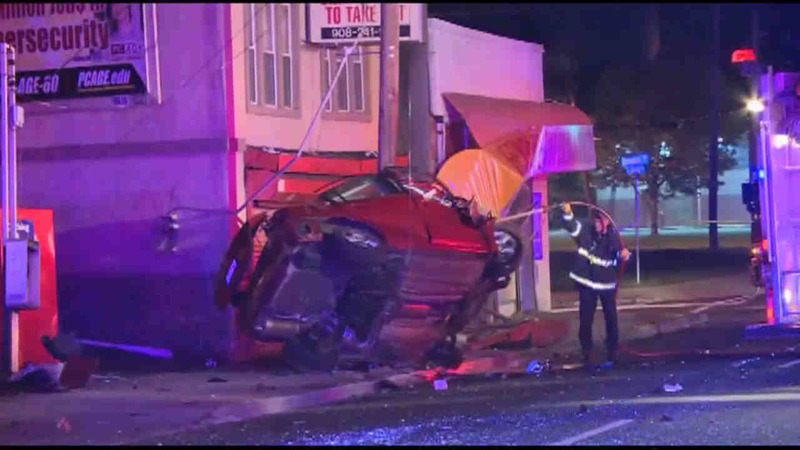 Roselle police say 22-year-old Fabiana Escandon, of Linden, and 64-year-old Oscar Chaviano, of Elizabeth, were traveling in the same direction when the crashes occurred shortly before 3 a.m. Saturday on St. George Avenue near Rivington Street. Chaviano was pronounced dead at the scene. Escandon was taken to a hospital but died there a short time later. Authorities say it appears that both drivers were alone in their vehicles. It's still not clear what caused the accidents.